The industry average for receiving a review on Amazon is 5%. This sounds tough for an already established product. It sounds impossible for a new product. Reviews are a sore point for Amazon. They are incredibly important for the buyer-centric platform, as they give social verification for the quality of products and their sellers. At the same time, the countless possibilities for fraudulent sellers to tamper with reviews have caused Amazon many sleepless nights. New products struggle to rank organically in the first few pages of search results without any reviews. If a product doesn’t rank, organic sales are almost impossible. PPC campaigns can be expensive and are not recommended for products that have not received any reviews yet. Overcoming these obstacles is an uphill battle. An expensive uphill battle. So what can you do? Other blog posts would now tell you that they have a secret sauce that can save you hundreds of dollars and countless hours to get you those first reviews. But to be honest: there is no such secret sauce. Below you will find the usual ways of getting reviews for your new Amazon product that most resources prescribe. But unfortunately, none of them work in the ways you’d like them to. That’s why we also added a breakdown of the most effective strategy we know. It won’t be easy and it won’t be for free. But it has worked. Search results on Amazon are displayed according to the A9 algorithm which ranks products according to relevancy and probability to sell. Your best bet for ranking organically is content optimization. Including the most important keywords for your product in your title, bullet points and product description not only helps people in their purchase decision (because it tells them about your product’s function and benefits) but also boosts your ranking. And better ranking means more visibility and, potentially, more sales. Finally, the hope is that more sales also lead to more reviews. The problem? Whilst this is an effective long-term strategy, many sellers find that new products without any reviews hardly rank in the first few pages even if the listing is highly optimized. When you get your first few sales, you should do everything to make sure your customer is happy. Stellar customer service and happy customers are necessary requirements for positive reviews. And even if a customer wishes o return an item or reports an issue – providing great customer service can still earn you that positive review. It is also easier to directly encourage customers you’ve already communicated with to leave a review. The problem? You can only provide stellar customer service to people who have already bought your product. And we just established that your product hardly ranks without reviews – and without ranking, there might not be any sales. It might sound obvious. But providing a product that blows people’s minds is a guaranteed way of getting reviews. People tend to react to extremes. If a product is particularly bad, you definitely take the time to leave a negative review and save other people the disappointment. If a product is particularly good, you will want to share your excitement with other people. The problem? You still need the first sales – and they require reviews. Amazon understands that the first few reviews are hard to get. So they developed the Amazon Early Review Program. However, the program is only available for Brand Registered sellers in the US. Here is how it works: For a fee of $60 (per SKU), Amazon sends follow up emails to people that have purchased your products and offers them a reward of $1-$3 for leaving a review. Only products that have less than 5 reviews and cost more than $15 are eligible for the Early Reviewers Program. The program will stop either after one year, or when your product has received 5 reviews. Once a customer leaves a review, your product is marked with the orange ‘Early Reviewer Rewards’ badge. The problem? 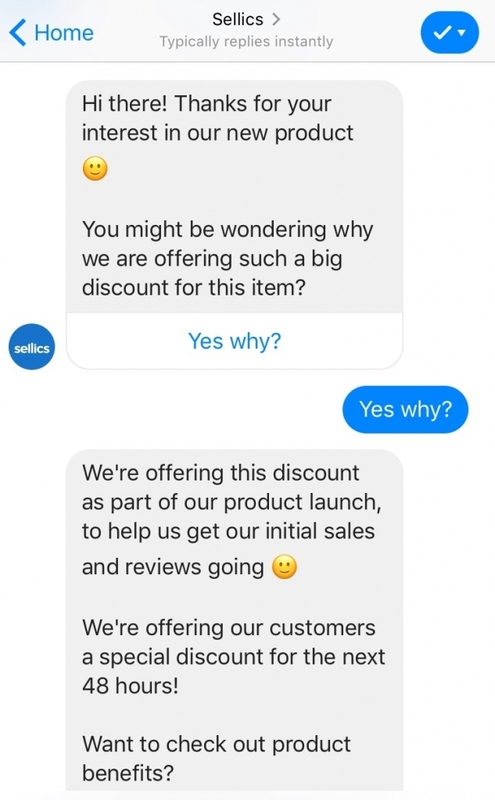 Whilst this increases the chances of getting reviews, it doesn’t increase the chances of your customers finding your product. Amazon Vine is Amazon’s own reviewer program. Customers with a track record of leaving lots of reviews that are perceived as useful and trustworthy are invited to be part of ‘Vine Voices’. Participants receive free products to test and provide honest reviews. The Vine program is currently only available through Vendor Central. To participate, vendors must submit their products to Amazon and pay a fee ranging from $2,500 – $7,500 per ASIN. Depending on the category, only a limited number of free products can be submitted for review. The problem? The price. And the fact that the program is only available for vendors. This is still a commonly used way of getting early reviews. Provide customers with a discount code and hope that the reduced price incentivizes more sales and thereby the possibility for more reviews. The problem? Amazon now marks product reviews that resulted from a purchase with a discount code as ‘unverified’. Not very trustworthy, is it? And there is also a limit of how many unverified reviews a product can get before it gets blocked from this kind of feedback. Packaging inserts are promotional materials you can include in your packaging to ask for a review. Make sure to NOT ask for a positive review, or offer a reward in return. Read everything about Packaging Insert Best Practices. The problem? You still need customers to find your products. And the conversion rate of packaging inserts is painfully low. This is a commonly prescribed strategy. Build an email list off-Amazon and then send out information about your new product with a link to the Amazon listing to your curated audience. The problem? While this can be highly effective, it takes a very long time to build a list that is big enough to generate considerable amounts of sales – and reviews. Let’s be optimistic and assume that the conversion rate of your email list is 1% (because it is a new product). And we already established that 5% of sales generate a review. That means you would have to have 10,000 people in your email list, only to get 5 reviews. Alright, admittingly, so far we’ve been very pessimistic about the whole topic. But don’t despair, we do know a strategy that can help you get your first reviews on Amazon. But it does have its costs. The Facebook Bot is the answer to all your problems. It solves the chicken-and-egg dilemma of generating sales without reviews that most other strategies suffer from. 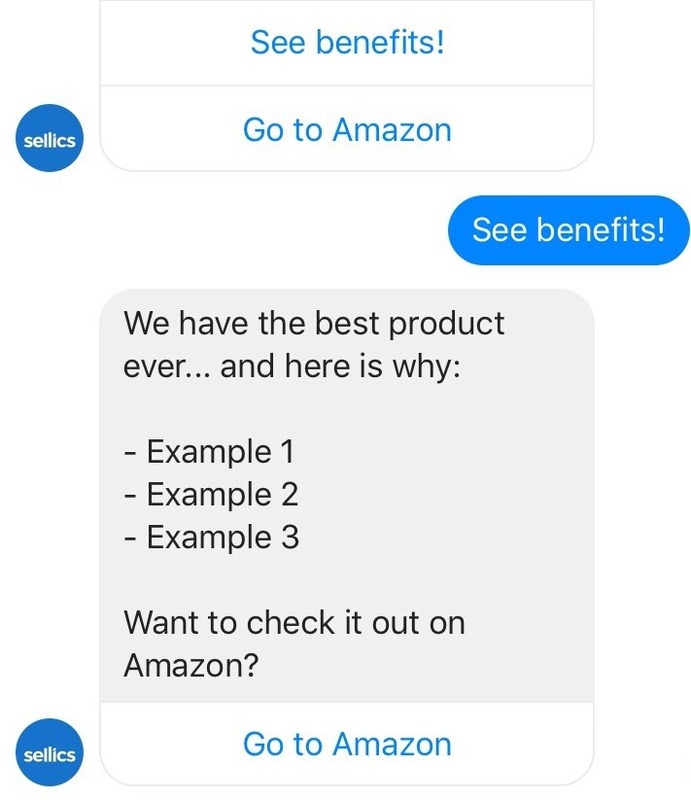 The bot is an interactive Facebook advertisement that opens up communication between you and potential customers. The ad pops up in people’s newsfeed and encourages interaction. Asking questions, or hiding answers to questions to create interest from potential customers works well. A nice product video is also quite effective. Once people click on the ad, the interaction starts. It is just like chatting with a friend. Keep asking questions and make it fun and engaging. The goal is to provide additional value to your customers and hope that they convert. The secret is to reduce the price of your product significantly (told you it’s not going to be cheap) to generate your first sales and let people know that it is for a short time only. Whilst you cannot ask for positive reviews directly, you can tell them that it is a new product and that their honest feedback matters. Visibly reduce the price of your product on Amazon (e.g. usual selling price is $60, cross it out and sell it for $20). Set up your Facebook Bot (this requires a third-party service). It works similar to the normal Sponsored Ads on Facebook. Define your target audience (e.g. if you are new to selling in an international Amazon marketplace, choose the specific country) and set up the messaging. Direct the external traffic straight to the Amazon listing of your new product. Be honest. Tell people that it is a new product. Actively encourage people to leave a review, but do not ask specifically for a positive review. Create urgency. Let people know that the lower price is only available for a short time only. 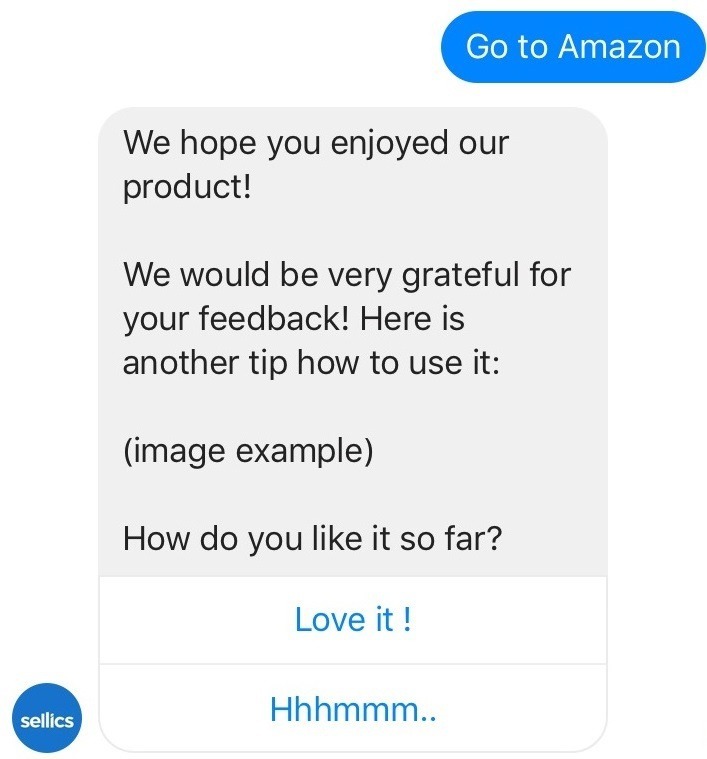 The Facebook Bot is a great way to actively engage with your customer base. In our experience, the opening rate is 90%. The interactive messages build a connection and open line of communication before the purchase and encourage the first sales. And after the purchase, you can offer additional value to inspire reviews. And that is how this strategy solves the chicken-and-egg dilemma.